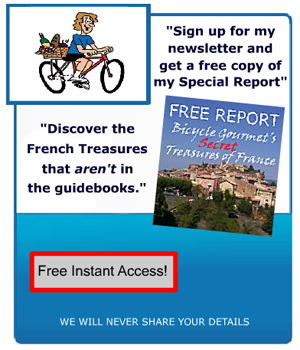 French Country Travel Life Tipster …uh…that would be….DA BG – right? Yer ole pal with the lowdown on all things marvy and French. Particularly the French Country Lifestyle variety. However, as knowedgeable, experienced, not to mention modest as I am, There are other scribblers who can and do wax “francophonic” after sampling some o’ these here Treasures of France. One being the poetically named quill- weilder Winsor Dobbin. Just a short drive from the major city of Toulouse in the Midi-Pyrenees region, Albi is one of France’s last remaining secret treasures. The birthplace of the artist Henri de Toulouse-Lautrec and explorer Jean-Francois de la Perouse, it is home to a remarkable cathedral, superb museums and historic buildings. The city centre was added to the UNESCO list of World Heritage sites in 2010. Even better, Albi is surrounded by vineyards (think names including Gaillac and Cotes du Frontonnais), and is also home to one of France’s hottest chefs. Albi’s history dates back to the Bronze Age, but it blossomed after 51BC following the Roman conquest of Gaul. The building of the Pont Vieux (Old Bridge) in 1040 saw the city expand and construction of Sainte-Cecile Cathedral began in 1282 (although it was not completed until the 16th century). It is the largest brick cathedral in the world. Unlike many French cities, Albi’s rich architectural heritage has been retained and a walk around town is a step back in time, with the bridge still in use after almost a millennium. Older than the much better known Palais des Papes in Avignon, the Palais de la Berbie, which was once the bishop’s palace, was completed in the 13th century. One of the best preserved castles in the country, it is now the Toulouse-Lautrec Museum, home to more than 1000 works of art. Albi is a town that lends itself to leisurely exploration. You can easily cover most of the attractions on foot or on the petit train, (a small tourist train on wheels that is ubiquitous throughout France). There are also several river cruises on offer on the Tarn, using gabarres, flat-bottomed barges once used by local merchants. 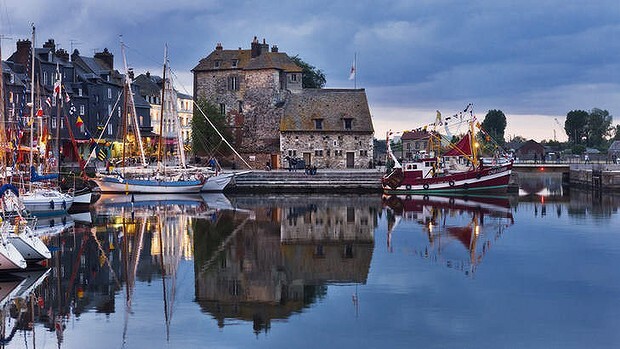 There are more than 20 hotels in and around the town, including the Hotel La Reserve, a luxury Relais & Chateaux property on the road to Cordes, the Grand Hotel d’Orleans and Les Pasteliers. There are also several chain options, including a Mercure and a couple of budget Ibis lodgings. When it comes to dining, it is impossible to go past L’Esprit du Vin – where rising star David Enjalran has earned a Michelin star for dishes such as pigeon stuffed with pig’s trotter and oysters. Pretty Cahors in the Quercy district is famous for the “black” malbec wines that have been grown in the region since the Middle Ages. It dubs itself the global “Capital of Malbec”, and Chateau de Haute-Serre and Chateau de Lagrezette are two local producers that welcome visitors. The mediaeval quarter of Cahors, with its many narrow streets and alleyways and the unique 14th-century fortified Pont Valentre bridge, make it popular with history buffs and it hosts a major blues music festival each July. Surrounded on three sides by the River Lot, Cahors was founded in the 1st century BC and was once home to a large Roman amphitheatre. The Valentre bridge, the symbol of the town, was completed in 1378 after 70 years of work and the Tourist Office offers several walking tours that take it in, along with the Saint-Etienne Cathedral, a national monument that dates back to the 12th century and is surrounded by several attractive gardens. There is a petit train (May to September), while street markets are held on Wednesdays and Saturdays in the shadows of the cathedral – and are considered one of the best country markets in France. The Hotel Grand Terminus, near the railway station, is also home to the upmarket Le Balandre, regarded as Cahors’ finest dining room. We also much enjoyed the atmospheric Auberge de Vieux Cahors, while Le Marche comes highly recommended and Le Vinois is surrounded by vines. waaay interesting stuff….and a great photo too! Thanks bg! can always count on DA BG for solid actionable info! have made notes…hope to turn them into travel realities someday soon. many thanks mr bicycle gourmet!!! i’m thinkin’ “DA BG” is also a very poetic name! very much good your writing here. i am learning very much about the france. hoping to see more from you. thanking you much. would have never guessed that there was a palace older than than one of the popes in avignon. nopw i don’t have to guess! first i’ve heard of “black wine.” can it be i lead a sheltered life? ab…as far as wine is concerned…..YUP! i know someone else commented on it….but i just adore the opening photo! me too margaret…..truly exceptional image!….even more reasons to visit france.